I can imagine the presentation to the blazers who run rugby while feeding off rugby’s communal trough, set up as post-match buffet tables in the executive suite. 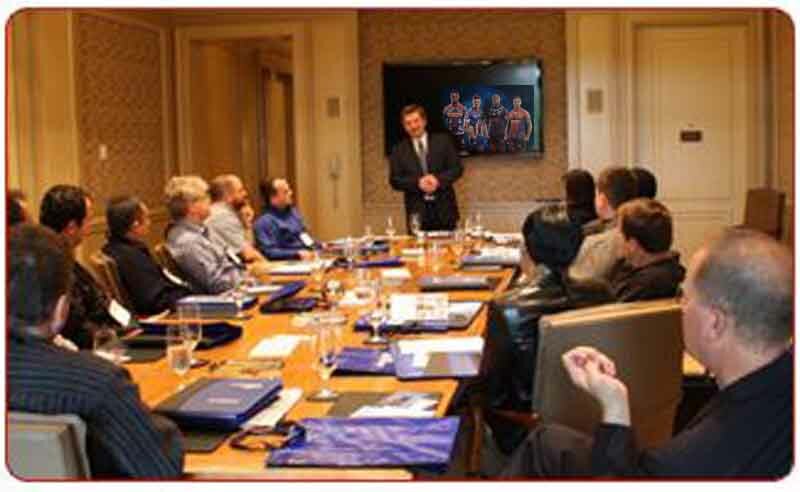 As the blazers settled down in their leather covered executive chairs, in the oak panelled boardroom at SARU Headquarters, they readied themselves for a presentation by the sleek, well-remunerated advertising execs. The blazers took a swig from their crystal glasses of Johnny’s Blue as the lights dimmed and the soundtrack from Marvel Studio’s Thor – Ragnarok swelled from the speakers. As Helmsworth’s image sharpened into crystal clear focus, the image of Spiderman, and Black Panther, and then Captain America swooshed onto the screen, joining Thor………. And the blazers nodded enthusiastically, and took another deep gulp of Johnny’s Blue…. When you hand rugby’s image over to the ponytails and manbuns of the local advertising agency, you must surely figure that you might just be in for a bit of trouble? 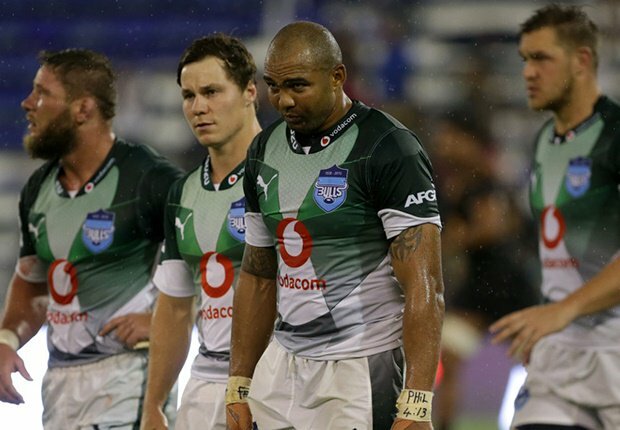 Whomsoever took the decision to accept the ponytails’ design efforts for the SA Conference’s derby jerseys had surely supped too deeply from that bottle with the blue label. The decision was as stupid, as misguided as any taken in the history of rugby’s image making efforts. Captain America? Spiderman? Black Panther? Thor? I would guarantee that 99,9999% of those who read the Marvel comics, play the computer games, and watch the Marvel Studio movie releases have never even heard about the game of rugby. I would also guarantee that none of those “superheroes” – if they were actually real and not the figment of some truly fertile imaginations – would have played the game of rugby. They are American, one and all, and invented in an age where rugby was (and it still is) a foreign concept to most Americans. Captain America’s helmet is, after all, modelled on an early design of an American football helmet! 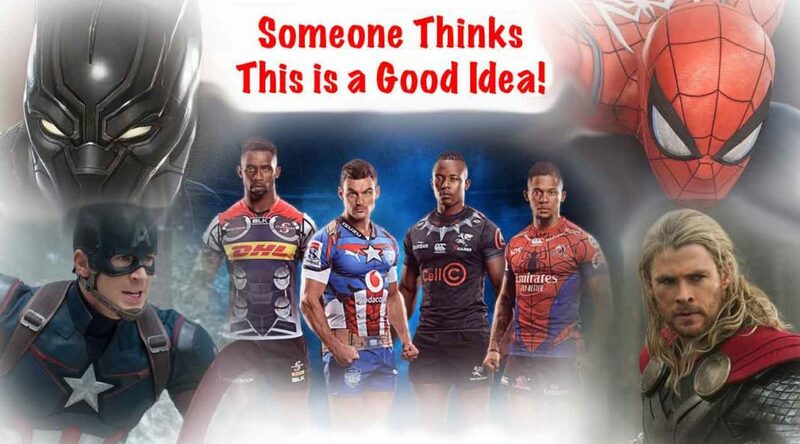 Attempting to import an American comic culture into rugby, into South African rugby, is simply beyond ludicrous. 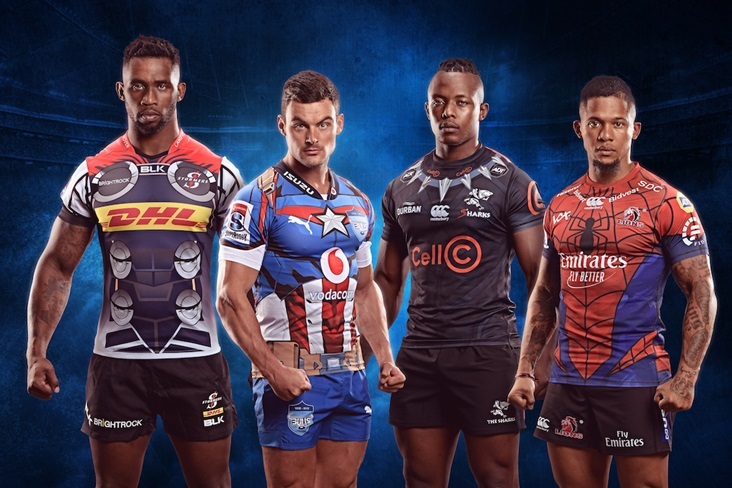 Going beyond the concept of fictional super heroes somehow being infused into the game of rugby we turn to the actual design of the jerseys the teams play in…. Last week we saw the Bulls play against the Stormers… with the Bulls dressed in the traditional blue, white, and red of the Stormers and Western Province! This week we were forced to endure the Lions, dressed in Stormers colours, and the Stormers dressed in a mish-mash of remarkably similar colours, and looking like the traditional Lions from behind….. The confusion of colours was so marked that referee Egon Seconds was heard to request that his off-field assistants enquire whether there was another set of jerseys available for one of the teams as he could not figure out who was who on the field. At half-time the Stormers changed into their more traditional away strip – their normal home strip would also have clashed with the Lions’ outfits – and some sanity returned to the game. Wait till the Sharks and the Stormers play each other – both in traditional Sharks black……. Pity the poor spectator, who is removed from the immediate proximity of the players and has to deal with the strange and confusing pallet of colours clashing on the field of play. Pity the player, who has trained all his life to use his peripheral vision to identify support runners and someone to pass or offload the ball to. With the confused strangeness of mixed colours swirling in the fringes of his vision, who the hell should he pass the ball to? Pity the defender who has to decide who to focus on? Pity the referee who is already struggling to cope with the pace and ferocity of the modern game. The Twitterati and Social Meadiaistas went crazy – one and all they panned the jerseys foist upon rugby by the blazers and their highly paid ponytails! Quite simply, the colours and jerseys imposed on the players and public by the occupants of the executive suite are yet another example of the truly weird and stupid decisions that emanate from that exclusive domain. We can only hope, and pray, that sanity will prevail and the ponytails get instructed to take another look at their designs……. Who thought it was good idea to put the Bulls in green?? Even the Bulls were confused, they certainly did not play like the Bulls…. Great take on this stupidity! How much filthy lucre is changing hands for this madness I know not. What I do know is that proper rugby supporters and players find this bloody kinderagtig and, as you point out, it is just exacerbating the difficulties refs have in instantly determining to which side “that arm” doing the dirty stuff belongs. Kill the idea, now!